Congratulations to Eva M., winner of the tour prize and to Cover2Cover, the host winner. 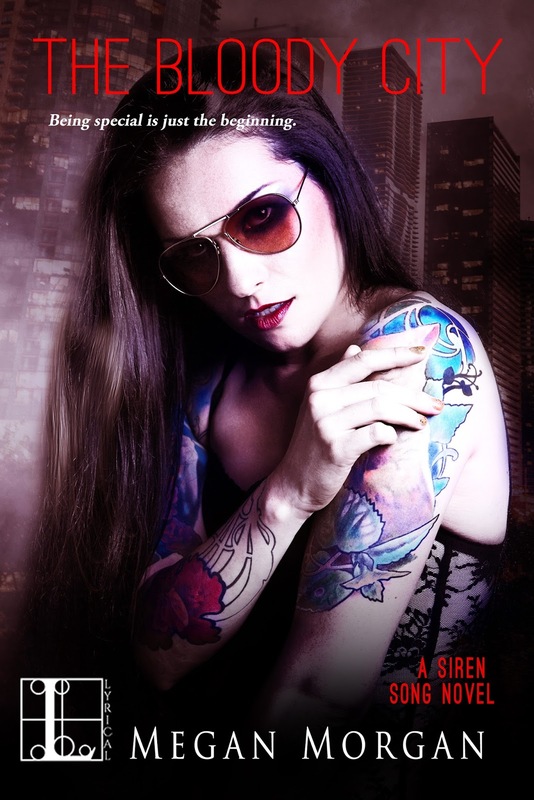 Goddess Fish Promotions is organizing a Virtual Book Tour for The Bloody City by Megan Morgan, a Urban Fantasy available November 10 from Kensington Books/Lyrical Press. The tour will run November 23- 27, and Megan Morgan is available for guest post and interviews. A PDF, mobi and epub copy of the book is available for review in conjunction with a guest post or interview. Note: THIS BOOK IS THE SECOND IN A SERIES. Book #1 is available if reviewer/hosts want to read it before this one. Cover2Cover can host a review and or guest post for Nov 25 at https://chocomeiske.wordpress.com. I would like to have books 1 and 2 in epub format and as soon as possible please. Thanks. The Reading Addict can host 11/23, guest post, author's topic. Thanks! I can do any available date.